In honor of his new Breaking Bad spinoff, we're celebrating Saul Goodman by looking back at some of his best quotes of all time. 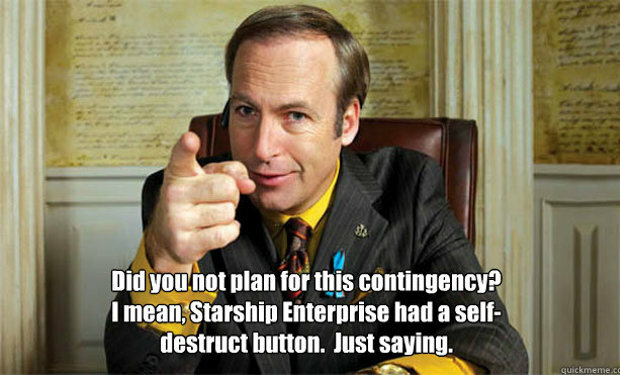 Played by the hilarious Bob Odenkirk, Goodman stole the show in many an episode with his witty insults and interesting analogies. 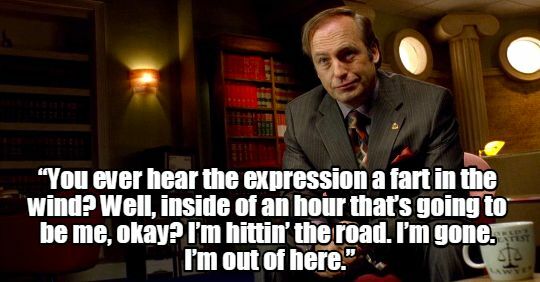 Now that Better Call Saul is out, you can expect there to be 10x the amount of amazing Saul Goodman quotes. The list below includes both gifs and memes of Saul's greatest hits, so take a break from cooking and enjoy some of these hilarious lines from the sleaziest lawyer in the world.